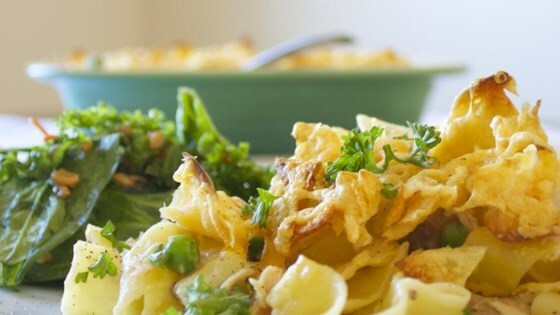 "This is a tuna casserole that even my picky family loves! The potato chips give the casserole a crunchy crust." This yummy tuna casserole has cheese, noodles, and potato chips! ok but definitely needs another can of soup.